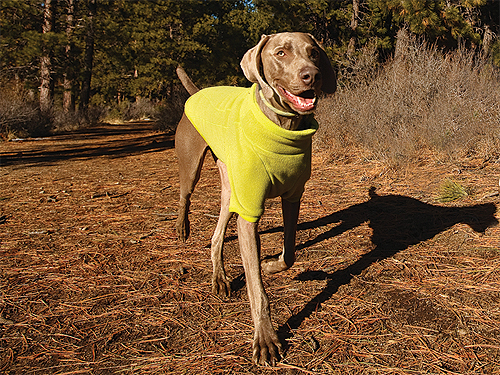 When a dog’s coat isn’t cutting it, give it a sweater… er… fleece. The Ruff Wear Climate Changer is a Polartec Classic 200 recycled fleece great for wussy dogs in cold conditions (or even tough dogs in super cold conditions). 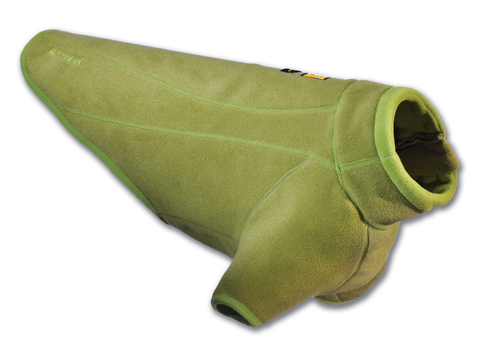 The fleece, which covers part of your pooch’s front legs as well as most of its body and its entire neck and chest, breathes, dries quickly and is machine washable. The extra layer fit great on a Gear Junkie test dog, and it contains 87 percent recycled content, so even your dog can tout the “green” label. The fleece would be great for dogs that love to be outside no matter the conditions, but don’t have the natural coat to keep warm.